I am selected from over 10000 worldwide applications to top 600 who gets the opportunity to represent the local issues at the global level. 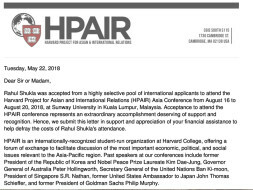 This conference, HPAIR by Harvard University(hpair.org) holds a deep importance confronting the issue of governance and geopolitics. In this conference, I am taking forward the problem of our Kashmir issue to attract global attention, helping make its social issue recognized and understood from all round perspective. Regarding “Social Issues”, of course, there are umpteen social problems but these have all risen because of the basic political problem which the rulers are trying to run away from. The first social problem is that every Kashmiri Muslim is a suspect all over India. He is being labeled as a Pakistani terrorist! I am Rahul Shukla, a Gandhi Fellow working in the rural domain of Gurugram for improvement of 25 government schools in Pataudi. My father is a constable in Railway Protection Force. It's been 5 months since I started working on this initiative of social recognition of Kashmiri as a normal citizen in other parts of India. Most of the Kashmiri students in our universities are seeking admission while after getting admission they have to go through communal or regional stereotypes bashing. In a recent incident a few months ago a Kashmiri family was brutally beaten by residents of a posh colony in South Delhi and the reason was their domicile stereotype because they belonged to Kashmir(https://www.thehindu.com/news/cities/Delhi/kashmiri-family-beaten-up-by-residents-in-south-delhi/article23858824.ece) . This is just a single case. There are several cases like this which the students coming from Kashmir has to face which creates a very negative impact on their socio-emotional learning and thinking about our community. 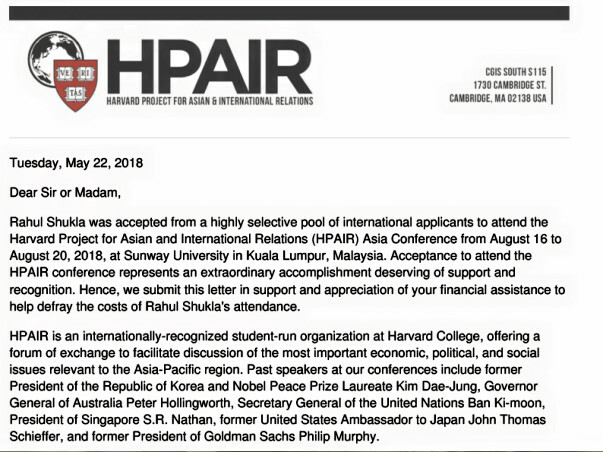 HPAIR is a platform to take this issue at an international level and seek help from experts and talented pool of people from around the globe. But I do not hold enough financial potential to attend this conference, hence I have created this fundraiser. I will be representing this problem to the rational thinking. 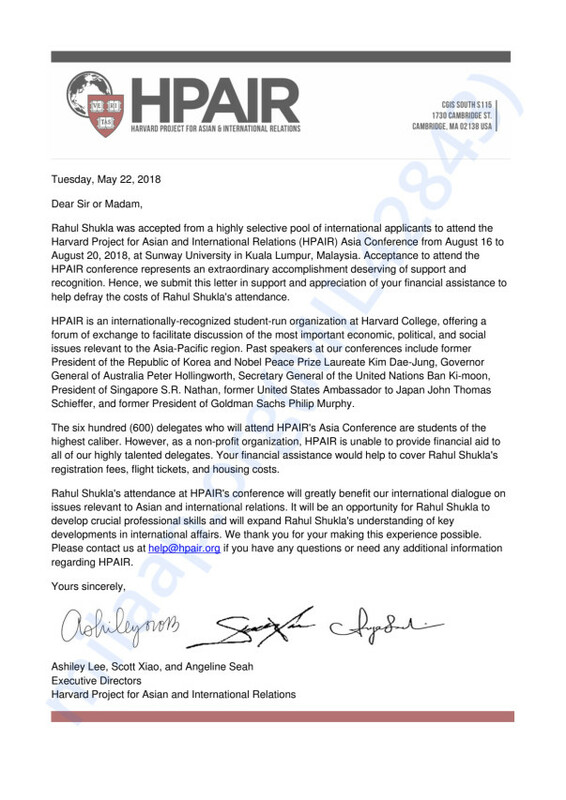 Your help would enable me to attend me to attend this conference by Harvard University. If I get this opportunity, I would be in debt to people who have supported me and it would be our success. The deadline for submission is 12th August but as of now only 10 seats are available, there is very little time left. I hope we will be able to make it.